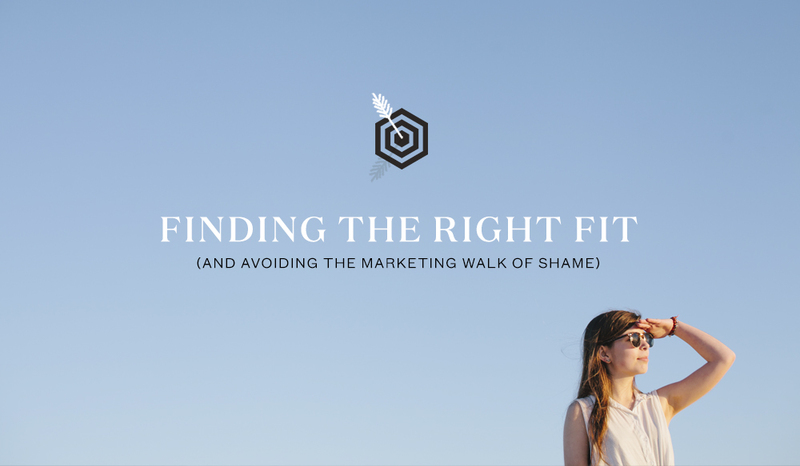 Maybe its because we’ve been writing more proposals lately, but I’ve been thinking a lot about the process of clients choosing their marketing partner, and how it can be tough to get right. Especially if you’re a small business choosing a marketing partner for the first time. We’ve done our fair share of selecting marketing firms on the client side and pitching for business. So, inevitably we’ve learned a thing or two about picking the right marketing firm for a business. First off, let’s scratch the “if”…choosing a marketing firm is like dating. You spend a short time trying to impress each other, things don’t get real until your first fight and, unfortunately, sometimes you find yourself in bed with the wrong partner. Pick brains over beauty: It’s easy for marketing companies to put a high shine on a proposal and bring in the big guns for a presentation. My favorite are companies who bring in the “Chief Ideation Guru” for the pitch. Trust me, you don’t want this person working on your small business. They bill at an absurd hourly rate and probably haven’t executed in years. Look beyond the shine. Search for the marketing firm who will hustle to get the job done, put in the hours refining strategy and hold themselves accountable for your results. They probably won’t come to the meeting 5 execs deep. In fact, they might not even have 5 employees. Don’t think this makes you any less special or them any less qualified. Find someone who believes in you: We say it all the time – we do our best work when we partner with clients who have a business or mission we support. As much as marketing is about getting results you can measure in dollars and cents, it’s also about creating emotional connections. And, it’s easier to create campaigns with an emotional connection if the people working on your business have a genuine connection to you and support your mission. Sometimes size matters: Marketing firms comes in all sizes from thousands of employees to two freelance partners. The size of the marketing company you work with will impact how much personal attention you get, how many resources they have at their disposal, how quickly they move and how important your business is to their success. Pick a company that’s the right size to meet your needs today. It’s great to think about the future when your business is huge and you need constant attention, but a company that can provide that might not be the best fit for your business today. Don’t let finances get in the way: Finances are the #1 cause of stress in relationships, but what it should really come down to is value. You must value what you are paying for, and your marketing partner must value your business. So, like most relationships that involve money, the most important thing is finding a partner you can trust and value what they’re bringing to the table. That way you won’t feel the need to question them on proposals because you know they have your best interests in mind and value your business enough to price their services fairly. You should feel good about paying your marketing firm fairly because you know they’re delivering their best. If you don’t value what they offer, you’re always going feel uneasy and unsure of what you’re paying for. Make sure it’s a two-way street: Just like dating, the client and the marketing firm both have to want to be in the relationship. The best marketing companies are selective about who they work with, just like they expect you to be selective in choosing your marketing partner. Make sure the marketing company you pick wants to be with you just as much as you want to be with them. It’s not always love at first sight, but with consideration, mutual respect and a strong sense of direction, you can create a marketing partnership that not only lasts, but produces incredible results for your business.